In 2014, Robin Williams died from suicide by hanging. Growing up watching his movies, laughing until I hurt, building so much of my sense of humour around his jokes and many personas, his death hit me hard. He was supposed to be the happiest person on the planet; a man who brought untold joy to millions of people across the world, of all ages. But privately, he was in pain, and one day that pain became too much for him to bear. The public outpourings of grief were many and varied, and for a short time, we talked about depression and suicide more openly, honestly, and healthily. Since then, many other notable and influential public figures have died. Some had tremendous influence over formative years in my life, and like Robin Williams, their passings hurt me profoundly. The world continues without them, the sun rises and sets, rain falls, flowers grow, time passes, and people fade from tangible existence into fond but sad memories. Some might say it’s silly to feel so afflicted by the death of someone famous, but I challenge anyone to get from one end of life to the other without feeling moved when someone they admire passes away. Art is a perilously undervalued resource, generally by people who are not artists themselves. Film, music, literature, theatre, poetry, paintings and more capture that essence of life that is lost in the daily grind. It’s where we romanticise otherwise mundane tasks, how we communicate abstract experiences like falling in love, what we use to expose our feelings when verbalising them is impossible. It can express extremes of emotion that frighten us - lust, fear, anger, sadness - and help us heal when those feelings cause harm to us and those around us. I couldn’t tell you how many times I’ve lain in bed or on the floor, feeling confused and overwhelmed by life, listening to music that enveloped me, protecting me from being overcome by those feelings, and offering clarity where my own words were inadequate. That music and the artists who produced it became important to me as dear friends; confidantes in whom I could put my absolute trust and with whom I could be unashamedly myself, never needing to hold back on whatever I was feeling in those moments. The immense healing power I found there helped me through some of the darkest times in my life, reclaiming my sense of self and confidence to carry on facing the world one day after another. That’s something that is overlooked when we talk about depression and suicide - it doesn’t go away. If you experience depression and suicidal tendencies at a young age, it leaves a long-lasting mark on your mental health - a sort of muscle memory, but for your brain. Recently, I learned that the term for this is “passive suicidal ideation” - distinct from active suicidal ideation, in that you don’t consciously wish to die, but will still find that suicidal thoughts will pop up, out of nowhere. Just as you might casually realise you quite fancy a certain sort of biscuit, I will suddenly realise that I’d like to not be alive, and then the moment passes and I resume whatever I was doing. Perhaps I will be in the shower, midway through shampooing my hair and mentally setting out my tasks for the day, when I pause and fleetingly consider how much I would like to simply stop existing, before recommencing the ritual of lather, rinse, repeat. Reluctantly, I have come to accept that this is part of my spectrum of thoughts processes now and that I don’t need to be alarmed by it as long as I pay careful attention to my general state of being. At 9 o’clock this morning, I picked up my phone to read a news alert reporting the sudden death of Chris Cornell, and I won't pretend that I was anything less than devastated. As many people who were teenagers in the 1990s, his music had played a significant role in my formative years, and Soundgarden had been one of the bands I immersed myself in, letting the music wash over me, his iconic gutteral howl cleansing me of the disarray of feelings that had overwhelmed me in that moment, while the grunge-meets-blues tempo and haunting guitar riffs soothed my distressed soul. Throughout today, I have revisited those albums, cautiously allowing myself to remember how and why they mattered so much to me as a teenager, reveling in the time that has passed since, and the occasions too numerous to count where I’ve listened to the same music for the sheer enjoyment of its sound. Heartache tempered with immense gratitude at having been alive at the same time as such a phenomenal artist has taken those of us with a similar relationship to his music on a painful, cathartic journey today. And as new broke later in the day that his death had been ruled suicide by hanging, a deep and profound sadness gripped me somewhere deep inside my chest. When an artist you admire passes away, you mourn for the skill they will never again share with the world. 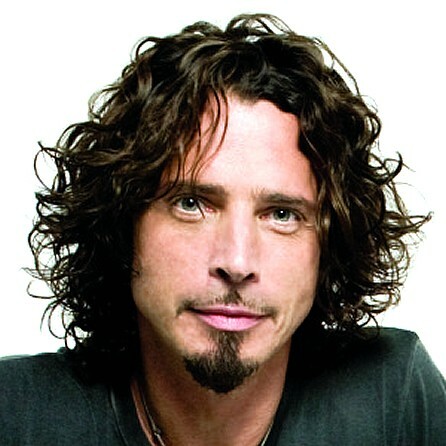 Chris Cornell was a breathtaking musician, unparalleled vocalist, and groundbreaking songwriter, but beyond that, there are untold people tonight who are mourning not just for the music, but for the way it touched, or even saved their lives, and for the fact that we couldn’t repay that debt. Because we know those moments, where the world is too big, too dark, too scary - where you can’t bear it for another day, hour, or minute. We know the absolute anguish that smothers you, the blackness that consumes you. Losing someone who saved you without ever meeting you or saying a word directly to you, and losing them to the thing that you’ll always be fighting, breaks your heart. Happy "Screw the Poor" Day, everyone! Welcome to Budget Day, or as we've come to know it - the day where the government announce the new and innovative ways they've concoted to ruin lives and run this country into the ground. In ten months of Tory government, plus five years under the Coalition, we’ve witnessed a comprehensive, ruthless, unrelenting attack on disabled people, low earners, unemployed people, families, elderly people, migrants, hospitals, schools, unions, civil rights, and the very fabric of democracy. We were told that this was all necessary, and that our country’s fragile economy would be shored up as a result of all these cost-cutting measures. This should go down in history as one of the biggest LIES ever told by a government to its people. The government admits that at least 2000 people have died following Work Capability Assessments, though campaigners say the true figure is much higher. WCAs have also been linked to 279,000 new cases of mental health problems, and 725,000 new prescriptions for anti-depressants. 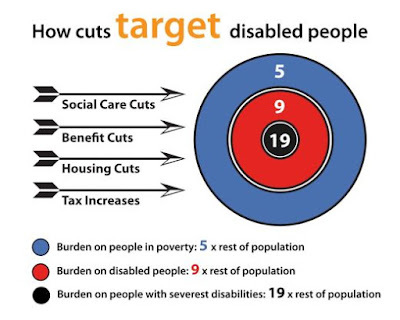 Disabled people have been hit up to 19 times harder byausterity cuts. While demand for mental health services has soared by 20% in the last five years, funding has been cut by 8% in real terms. The average house price is now over TEN times a person’s income, and in London NINETEEN times the average salary. Of the NINE MILLION private renters in the UK, one-third ofprivately rented homes fail to meet the Decent Homes Standard. 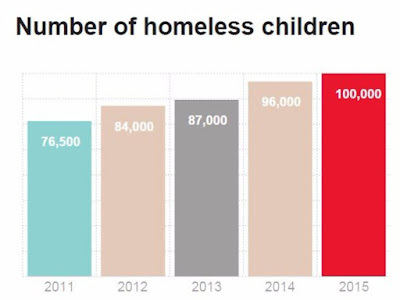 More than 50,000 families are recorded as homeless every year, with over 103,000 children recorded as homeless for Christmas 2015. A third of homeless people are made so because of a privatetenancy ending, and being unable to afford to find another home – this figure has trebled under David Cameron, from 11% in 2009. The Tories rejected an amendment to the Housing and PlanningBill, which would see landlords required to ensure that homes are fit for habitation. The CAB estimates that over 700,000 families are living in privately rented homes that are unfit for habitation, with landlords taking in £5.6bn in rent for those properties. 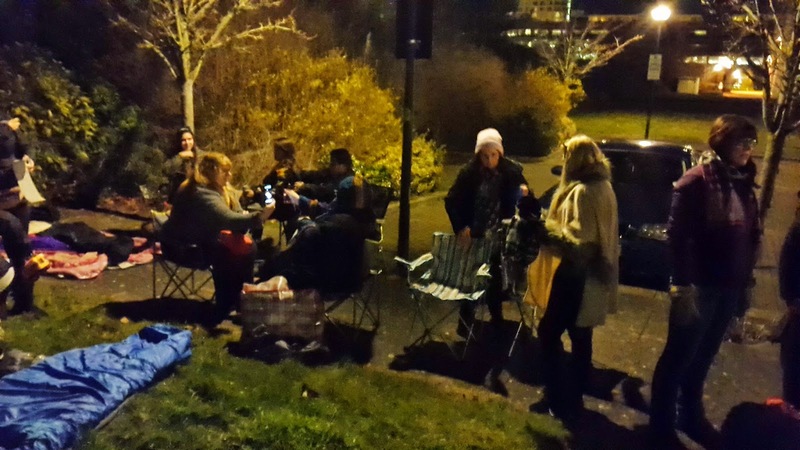 Over 15,000 homeless families have been put into emergency B&B accommodation in a different local authority – sometimes an hour and a half’s travelling time away from children’s schools. Research by letting agents Your Move and Reeds Rains showed rents in England and Wales had increased by 15% since May 2010, or 3.6% beyond inflation. The government has announced that by 2020, all schools willhave converted to academy status. Overwhelming evidence has shown that academies are more thantwice as likely to become “inadequate” in Ofsted terms than schools under Local Authority control, and up to TWELVE times as likely to remain “inadequate” rather than improve. Teachers report working on average 59 hours a week, only 1/3 of which is spent on teaching. The rest is spent on planning, administration, and management. The number of teachers leaving the profession has risen by11% over the past 3 years, and 75% of those leave before retirement. 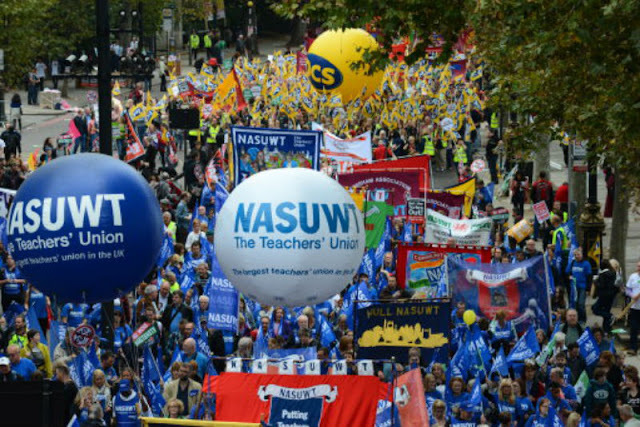 Workload came top (61%) in reasons given by teachers who were thinking of leaving the profession in a recent YouGov survey for the National Union of Teachers, closely followed by seeking a better work-life balance (57%). 55% of 338 school leaders surveyed by the Association of School and College Leaders have reported a large rise in pupils with anxietyand stress. The NSPCC reported that the number of young people in Britain seeking counselling over exam stress has increased by 200% in recentyears. The “Prevent” agenda has been branded toxic and criticised for exacerbating Islamophobia, as families report feeling threatened with having their children removed. Some Further Education staff have experienced a real-termspay cut of 17% after years of below-inflation rises and pay freezes. Spending for adult education has been slashed by 25%, with a loss of over a million adult learners so far. £45million has been cut from ESOL (English for Speakers of Other Languages) classes, affecting 16,000 places. University maintenance grants for the UK’s poorest studentswere scrapped without a Commons vote, after a legislation committee with just 17 MPs present took the decision. The poorest students will now graduate with an average £53,000 debt. Around 45% of student loans will never be paid off, creating a financial time bomb for future years. So I originally started writing this as a shouty Facebook post to summarise a few key terrible things the Tories have subjected us to since getting their claws back into government in 2010, and what horrors may unfold as the 2016/17 Budget is announced today. I've had to stop, partially because the list is now SO long - and I've barely scratched the surface, and certainly haven't analysed the impact on people's lives - but mostly because it's thoroughly demoralising to actually try and pull together a comprehensive overview of just how bad this government is. I haven't even touched on what they've done to the NHS, the conditions endured by migrants and refugees, our failure to address our role in climate change, human rights, civil rights, and so many other areas that the Tories are continually wrecking. We were sold the austerity package as the only hope of stabilishing our economy in the wake of the global financial crisis of 2008/9. We were told there was no alternative, that we were all in this together. Well as the richest 1000 families saw their personal wealth double since the recession, while the net wealth of the poorest 20% has decreased by 57%, I don't feel very TOGETHER. With more and more devastating cuts wreaked on the most vulnerable sectors of our society, written into legislation by millionaire MPs who have personal stakes in private companies now holding contracts for the NHS, have massive property portfolios for private rental, and make a fortune from lobbying groups - I don't feel very TOGETHER. Countries such as Iceland, who were also hit by the recession, have gotten their economy back on track by letting the banks go bust instead of bailing them out, investing in public services and jailing the bankers who caused the economic crisis. Meanwhile, our deficit hasn't even been halved, when Osborne claimed he would have eradicated it by 2015, and we have created more new debt since 2010 than every Labour government in UK history combined. There was always an alternative. Austerity is a lie, and we continue to be conned by it. Eleven-million voters were conned by their promises in 2015, and now the remaining fifty-five million people in the UK are paying the price. Every single petition that calls on the government to reverse or halt another devastating decision under the banner of austerity, every last demonstration and protest, every piece of alternative media that exposes their lies - every small and seemingly inconsequential thing we do chips away at their facade. By getting organised, mobilising into a united front, and keeping up the pressure on them, we stand a small chance of making a difference. And if not, I'm sure as hell not going to let them get away quietly. This seems like a logical place to plug the next People's Assembly demonstration. 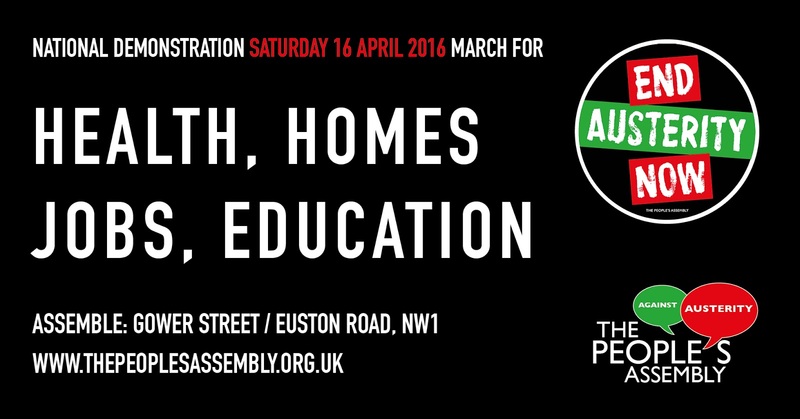 April 16th, central London - March for Health, Homes, Jobs, and Education. Lumps and bumps, aches and pains, and never enough spoons. A little over 2 years ago, I wrote my first blog post about having fibromyalgia. It's a pretty miserable condition, not least because it's completely invisible, so there's a lot of explaining to people about why you can't walk far, or why you need to lie down for a while because you stood up too quickly. For the most part, people are patient, understanding, curious and good natured about it. But it is still exhausting to explain it, and to some degree I still feel a bit embarrassed about not being able to keep up with my peers over the simplest of things, like going for a nice walk somewhere. When I first wrote about my illness, I was a stay-at-home mum to four children, the youngest of whom was just over a year old. Since then I've taken up voluntary work with the Green Party, which I absolutely love and in many ways has given my mental health a huge boost by giving me a sense of purpose. The flip side is that it's also shown me just how much being ill limits my capability to function. This weekend, I was invited to a training weekend at the Eden Project in Cornwall. Workshops (one delivered by me, eep! 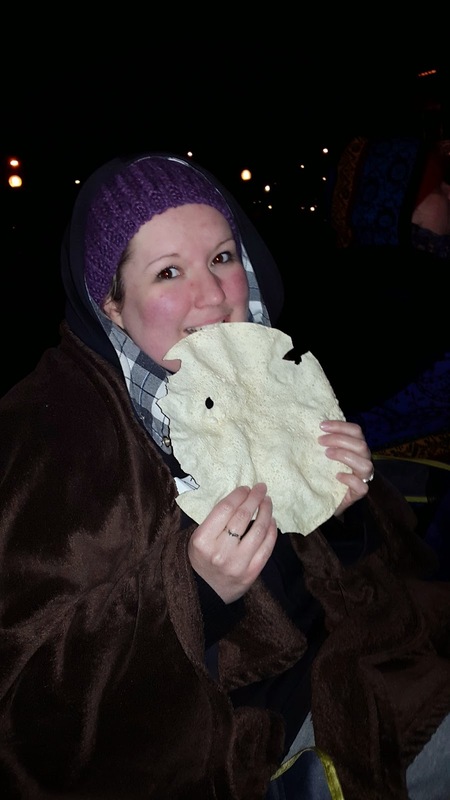 ), discussion groups, a picnic on the beach and glamping - so much fun, and always wonderful to meet new people with the same outlook on life as me. I even met someone else with fibromyalgia! We had a great time comparing symptoms and having a whinge about everything. Unfortunately I didn't do a great job of taking care of myself, and when it came time for me to go home on Sunday morning, I already knew I would be paying for the exertion of the weekend for quite a while. Sitting on the tube, waiting to get off the train to change at Oxford Circus station, I realised I was bordering on having a panic attack, purely because I realised that my arms and shoulders were so weak and bruised from carrying my bag the few hundred metres I'd had to walk through train stations already that I wasn't sure I could walk any further. I try not to be a complainer. I try to be upbeat and positive. But I also really value honesty, and I think conditions like fibromyalgia need people to talk about them more - not just to spread awareness of their existence, but also to challenge societal structures that currently inhibit people with conditions like mine from being able to fulfil life goals as an able-bodied person would do. The temption is always to downplay the pain. When people ask "are you ok? 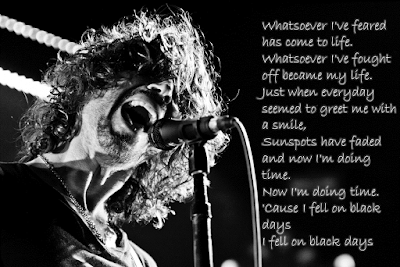 ", most of the time they don't want the honest answer of "well actually, I feel sick and bloated, my hips are screaming at me, my legs are bruised from sitting on a chair, my peripheral vision has gone blurry, my chest hurts so much that breathing is a real challenge, and I need to sleep like you wouldn't believe!". And so I smile, tell them I feel good and carry on with acting out the part of someone who doesn't want to curl up and cry. Facebook is a particularly tempting playground for painting a picture of everything being amazing. I can be lying in bed, whimpering in pain, unable to sit up for more than a few minutes, but if I post a joke or a funny cat picture on Facebook, I can at least persuade people that I'm ok and I don't want or need their sympathy. I want to go back to paid employment sometime soon. I want a stimulating and fulfilling job! I'd really like that to be linked to the Green Party, because I've been passionately pouring my limited energy into it for a year now and feel I have so much more I want to give! But... the fact I need to accept is that my health is so unpredictable that I will make a terrible employee. Some mornings I wake up and can't move, can't talk. 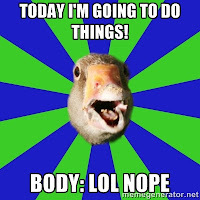 Some days, just the ten minute round trip for the school run is enough to end up with me lying on the sofa, dizzy and struggling to breathe. Some days, my legs will bruise and swell up just because I've sat on a wooden bench instead of a squishy sofa. The reality of leaving the house early every morning, travelling to work, then sitting in an office and being productive for several hours, then travelling back home - this is something that I can't kid myself that I'm capable of doing in any reliable capacity. A day here and there, ok. Sounds good. I've had some trips into London to the Green Party office for training days and meetings, and it's been good. I've then had to spend at least 2 days in bed to recuperate. I like to use the Spoon Theory analogy to explain to people why small, everyday tasks take on a whole new level of challenge when you have a condition like fibromyalgia. You can read more about it here - and please do. 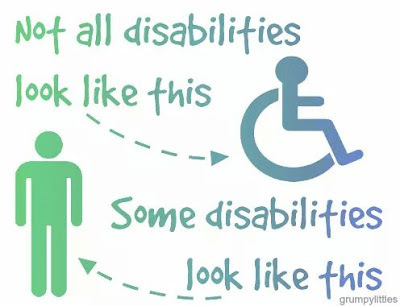 I've spoken to some people with disabilities who say that we view all this upside down - that in fact it's not the individual who is disabled, but society. People have different capabilities that may manifest in anatomical differences, mental health differences, or in "invisible" conditions, such as mine. These are only DISabilities because society is exclusionary - starting with our language and our societal outlook towards anybody whose capacity for economic productivity is below optimal. We ascribe value to people according to how much work they can put in versus how much they take out, so someone with any form of condition that changes that balance is treated as lesser than someone in optimum health. I want to go back to paid employment, but would any employer be prepared to take me on, knowing that I may be off sick a lot? 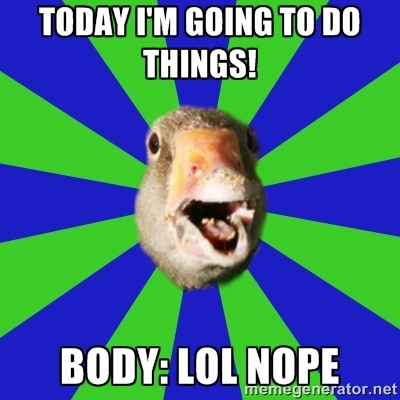 Or that I may need to work from home? Or that I may not be as efficient as someone who doesn't need to lie down every hour or so? How can we change things to make employment and wider society more aware of the needs of people with disabilities, and more receptive to meeting those needs without making a big song and dance about it? My dream job would be as a member of Parliament - but the demands and rigour of the campaign trail when I stood as a candidate in this year's election wiped me out. The job itself involves long hours, lots of stress and lots of travelling. Do I know that I could be a good representative for people in my constituency, given my health and limitations? Why should I be excluded from pursuing this role because of those issues? Currently job-share MPs are not permitted, as my colleagues discovered when they attempted to be nominated as jobshare parliamentary candidates and were refused. It's taken a long time for me to come to terms with the fact that fibromyalgia has this big an effect on my life, and that this means I am a person with a disability. Actually taking the time to permit myself to identify as disabled has been very empowering, which I didn't think it would be. I thought that identifying as disabled would be admitting a weakness, because that's how we treat people who aren't able-bodied. On the campaign for electoral reform: "I didn't vote for these cuts". "Two very different ideas are usually confounded under the name democracy. The pure idea of democracy, according to its definition, is the government of the whole people by the whole people, equally represented. Democracy as commonly conceived and hitherto practised is the government of the whole people by a mere majority of the people, exclusively represented. The former is synonymous with the equality of all citizens; the latter, strangely confounded with it, is a government of privilege, in favour of the numerical majority, who alone possess practically any voice in the State. This is the inevitable consequence of the manner in which the votes are now taken, to the complete disfranchisement of minorities." The 2015 general election... I'm still struggling to find words that really convey how I'm feeling, having watched with increasing despondency as the results rolled in and the Conservative seats went up and up. None of the opinion polls from the past few months indicated that we were headed for a Conservative majority, and there is a definite mood of pure dread at what the election result will mean for vulnerable people who have already borne 5 years of devastating austerity measures. There are some messages of hope, however. Caroline Lucas, Green MP for Brighton Pavilion, was re-elected with a massively increased majority. All over the UK, the Greens' share of the vote has surged upwards, with us coming second in more seats than ever before and sending a clear message to the establishment that people are not happy with the status quo and that the First Past the Post voting system needs to go. The Tories may have a majority this time, but it is a much smaller majority than the last government, with 331 seats compared to the 363 seats that made up the Coalition Government which formed after the 2010 election (306 Conservative, 57 Liberal Democrats). When you factor in the enormous increase in the presence of the SNP, who now have 56 MPs (up from their previous number of 6), a different picture of parliament emerges. There is now a much stronger - much needed - anti-austerity presence in parliament than ever before. It is an indictment of our outdated voting system that we once again have a Prime Minister and a government controlled by a party whom two-thirds of voters didn't elect. If we include the number of people who didn't vote at all, the Conservative vote share drops to less than a quarter. More than 75% of registered UK voters didn't vote for a Conservative MP, and yet because of the First Past the Post system, 100% of people living in the UK will have to live under Conservative policies. Realising that little point has gone some way to restoring my faith in British people rather a lot, having spent a reasonable amount of the past couple of days wondering how on earth so many could vote for a party who have overseen such horrendous consequences of the austerity agenda, and an abject failure to have achieved their own goal of reducing national debt and eradicating the budget deficit in the process. 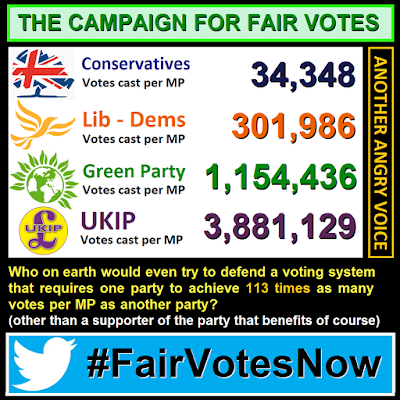 To briefly address those who may counter by saying that the call for electoral reform is because lefties are sore losers, I'd just like to point out that moving away from First Past the Post is something supported by a vast range of parties, and that the biggest gains would potentially be for UKIP - a far-right party! In actual fact, a move towards a more representative voting system would benefit everyone in the country. Whilst I may abhor UKIP's exploitation of xenophobia and discrimination against migrants to further their anti-EU agenda, the fact is that people vote for them. 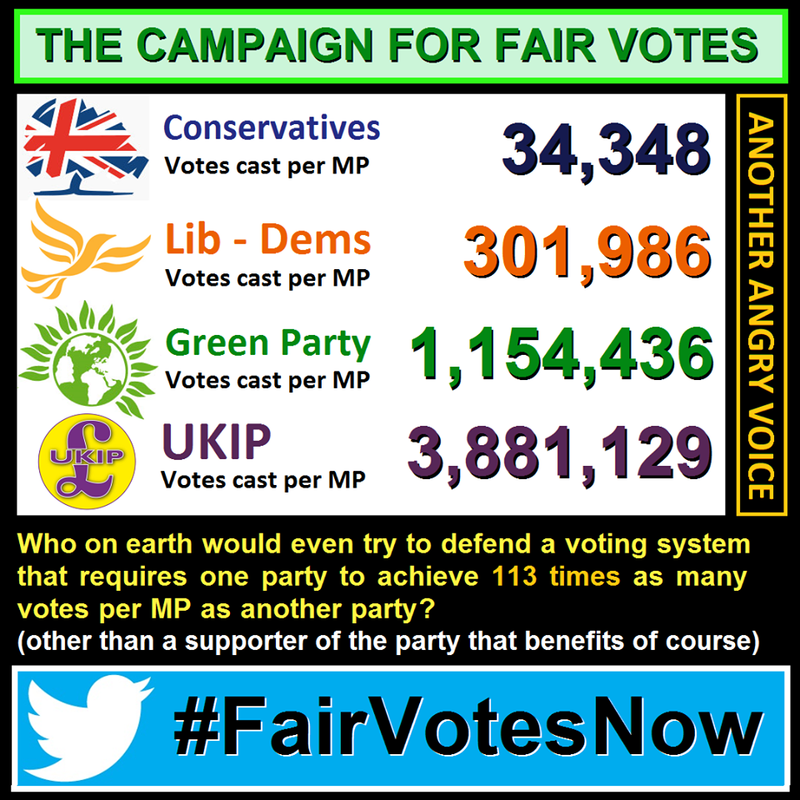 In fact, almost 4million people voted for them this Thursday, but the FPtP system yielded just one UKIP MP. Furthermore, because MPs are only permitted to respond to issues from people living in their own constituency, it is only the 19,642 people living in Clacton who voted for Douglas Carswell who will be directly represented in parliament. Likewise, while the Green Party secured over 1million votes, only the 22,871 who elected Caroline Lucas as MP for Brighton Pavilion will be able to contact her, while the remaining 1,134,742 Green voters in England and Wales are effectively left unrepresented. An electoral system which leaves 98% of voters with no representation in parliament for their preferred party is simply not fit for purpose, and people all over the UK are waking up to this fact. So how do we change things? Moving to a system of proportional representation (PR) would be one step, because it broadens the pool from which votes are counted so instead of electing one MP per constituency, seats in parliament would be drawn from a much larger pool and allocated according to shares of the overall vote. Depending on how this is organised, this would mean that votes in Brighton are counted alongside votes in Sunderland and that no voter is left unrepresented in the way they are now. Each of these methods would require another step to decide which candidates takes up the seats won; the European elections use party lists, where the parties decide in advance a list of preference for the candidates, and seats are allocated in that order. This has many criticisms, not least that it should be down to the people to decide who their candidate is rather than being pre-selected by the party. Another Angry Voice author, Thomas Clark, has summed this up and suggested an alternative in his blog HERE. When you change how MPs are elected, inevitably the local link to parliament is compromised. It is incredibly important for accountability and democracy that people feel that government is accessible, however, and so a move towards PR would have to go hand in hand with changes to how district, borough and town councils work. The most logical way to do this, would be to expand councils - have more councillors, devolve more power to councils and give them much more funding. Decisions should be made at the most local level possible, and that is something that the Coalition really undermined. My ideal electoral system would have fewer MPs, all elected by a form of PR; much more power and funding for local councils, with more councillors elected; reform of the role of MPs so they work more closely with councils to create a better flow between Westminster and local government; reform of how parliament operates, with the Prime Minister elected by MPs instead of automatically going to the leader of the party with most seats. If we can achieve this, and combine it with other steps such as capping donations to political parties, closer regulation of election spending, and establishing an independent regulatory body for press ethics, we could create a political system which is much fairer, more democratic, much more accessible - and actually represents the vast spectrum of political views across the nation. All of this is possible. It's not a dream. Campaigning for proportional representation is one way that we can fight for the politics we deserve, but there are many other ways we can work together in the next 5 years against whatever nightmares the Conservatives plan to unleash. 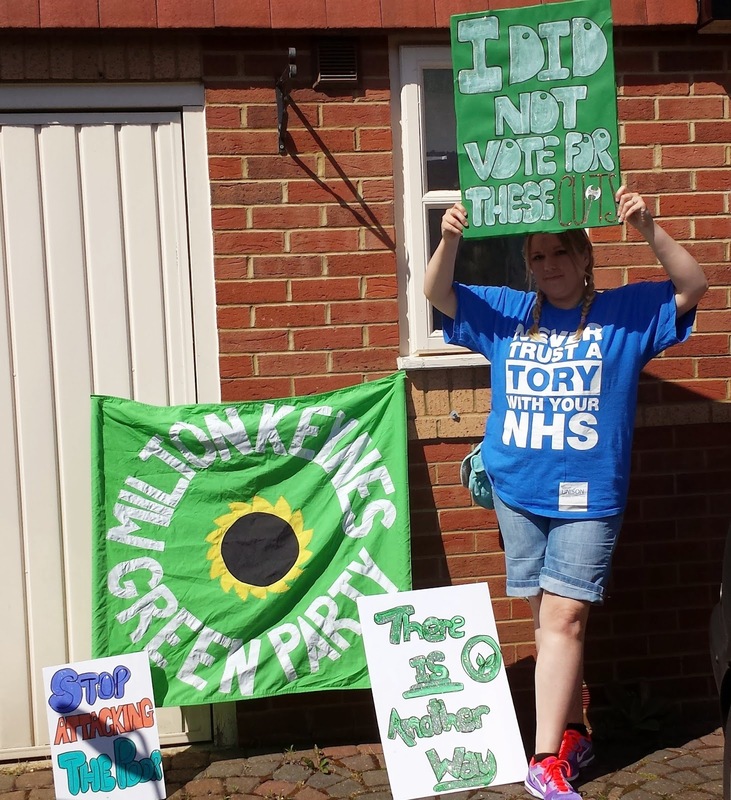 There will be demonstrations aplenty, community groups in need of volunteers, petitions to send to Westminster, social media to spread the word - and political parties you can join (*coff* join.greenparty.org.uk *coff*). We've had a day to feel glum about the election outcome. Now it's time to dust ourselves off, prop one another up and get out there to fight. Remember, 75% of adults in the UK didn't vote Conservative. Actually we'd probably have even more because nobody would have to vote tactically! 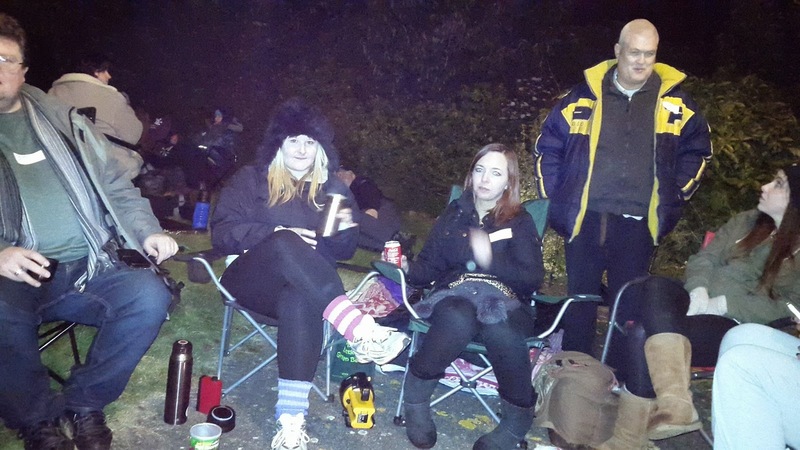 My night of sleeping rough. Bear with me if this post is a little rambly. 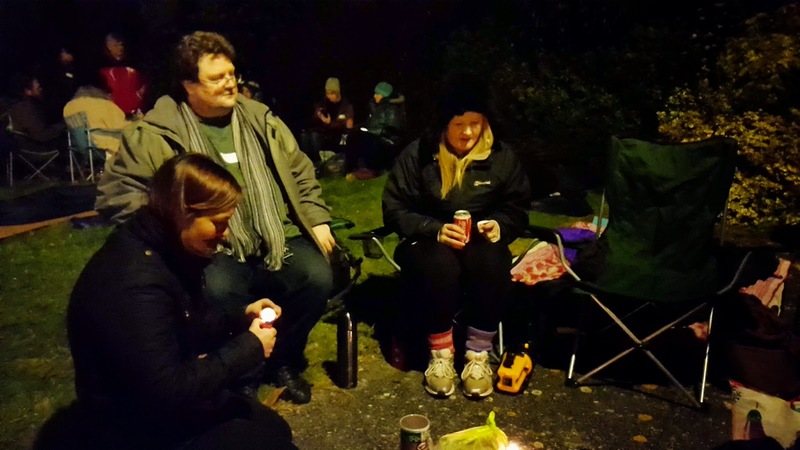 I've not long come home from a night on a sponsored "sleep out" with fellow volunteers from the Winter Night Shelter MK - a homeless shelter in Milton Keynes that operates from December to March, offering overnight accomodation, food and company to homeless men and women in the city. 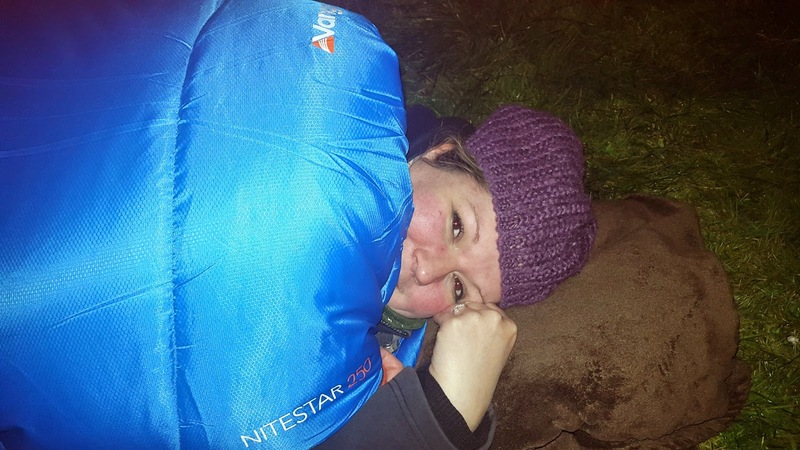 After the project closed for the year earlier this month, one of the team leaders arranged for some of us to spend a night sleeping rough, being sponsored by friends and family, in order to raise money for the shelter to run next winter, and also as an expression of solidarity with MK's rising homeless population. Thirty volunteers from the project met by the Jaipur restaurant in Central Milton Keynes. The restaurant owner had kindly agreed to let us use a piece of land next door, and also to use the restaurant's toilets until they closed just after midnight! After a health and safety briefing, we settled down to lay out our mats/cardboard/groundsheets/deck chairs and get ready to face a night outdoors. Most were confident that we wouldn't be getting any sleep at all - and with a very jovial festival-like atmosphere in the air, we didn't really mind that thought. The Mayor of Milton Keynes, Derek Eastman, came along at 11pm to wish us well and take lots of photos, and the owner from Jaipur joined him to offer a donation of £300 to the fundraiser. Even more welcome than that was the several bags of poppadums that the staff then brought out for us! As it was nearing midnight when the restaurant staff and the Mayor left us to it, I decided to try and settle down for the night. 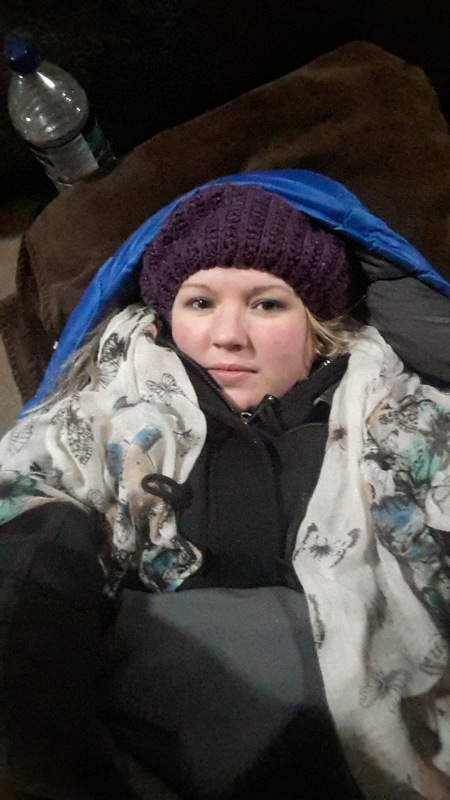 I had prepared myself for intense cold, so was wearing 2 pairs of trousers, 2 pairs of socks, 3 tops, a coat, hat and 2 scarves. I was just about warm enough! I zipped myself into my sleeping bag, put my headphones in and turned the music up just loud enough to drown out the traffic and chatter. About 20 minutes later, it started raining! We had previously agreed that if the forecast rain did present itself, we would relocate to a nearby underpass* for the rest of the night, and so we did just that. *if you don't live in Milton Keynes, an underpass probably means something totally different to you. I had no idea what one was when I moved here, but it's essentially a short subway that is used to traverse the multitude of main roads around MK rather than using pedestrian crossings. Making the switch from grass to concrete wasn't welcome, but blessedly the "military grade" (ooh-er) roll mat I had bought turned out to be a worthwhile investment and provided brilliant cushioning from the paving slabs - and I figured out how to use my rucksack as a pillow. Attempt #2 at sleeping proved more successful and although I was cold and uncomfortable, it wasn't too bad. Around 3am, I woke again (sleeping on the ground when you have arthritis in your hips is a very achey experience!) and realised that most of the volunteers were sleeping. I was at the very end of my group, and suddenly a feeling of insecurity came over me. I felt vulnerable and exposed. Safety hadn't really been an enormous concern while I was preparing for the event as I knew there would be a big group of us, and the police were very supportive. But actually being there, in the small hours of the morning, with most people asleep and utterly exposed to the world - that was frightening. I started thinking about how people who sleep like this because they have no choice must feel. That anxiety, that intense feeling of vulnerability and isolation - it floored me, and I knew that I would be up and on my way home at 6am, ready for a nice cup of tea and to probably write a blog post about my experience. People who are genuinely homeless have no such thing to look forward to. Everything is an uncertainty. Your safety for the immediate future, your next meal, how people will treat you when they see you, whether you will ever have a warm, stable home again. Through volunteering with the shelter I met at least 60 people who had been homeless for varying lengths of time. Their stories were incredible and very grounding - yet no two were the same, and very few involved instances of substance abuse, which is so often the stereotype attributed to homeless people. We were encouraged, as volunteers, to not invest too much emotion in what we were doing. 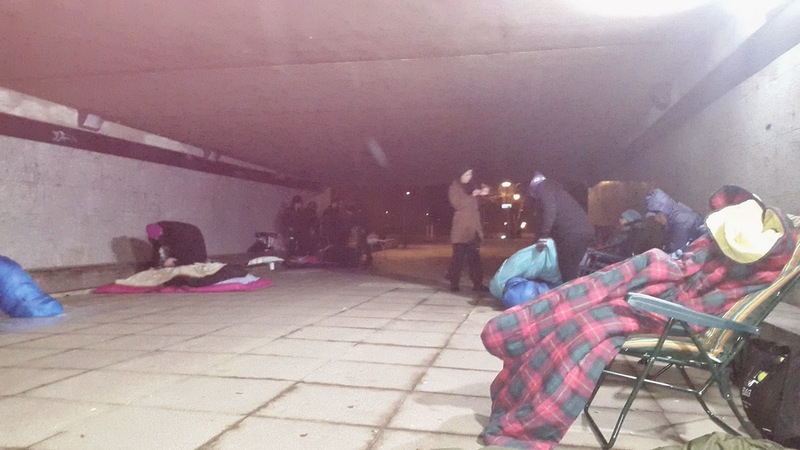 Our purpose was to be there for the night, to provide company, food and somewhere warm and safe to sleep for the night - and so I tried not to dwell too much on what these men and women must have endured while sleeping on the streets. You can't participate in a sleep-out like I did last night without that changing. I had the tiniest taste of what it might feel like to be that exposed and vulnerable, and it frightened me. Now that I'm home, comfy and warm again with a huge cup of tea, I am angry. I am so angry that homelessness is on the rise all over the country. I am angry that we have endured a government that, for five years, has demonised the very people I and countless others have spent months volunteering to help. I am furious that the system, which already let too many people slip through the net, has been squeezed and cut to punitive levels, so much so that people are dying as a direct result of welfare cuts and benefit sanctions. At 5am today, the sun started to rise and we congratulated ourselves on having made it through the night, packed up our sleeping bags and mats and made our ways home. 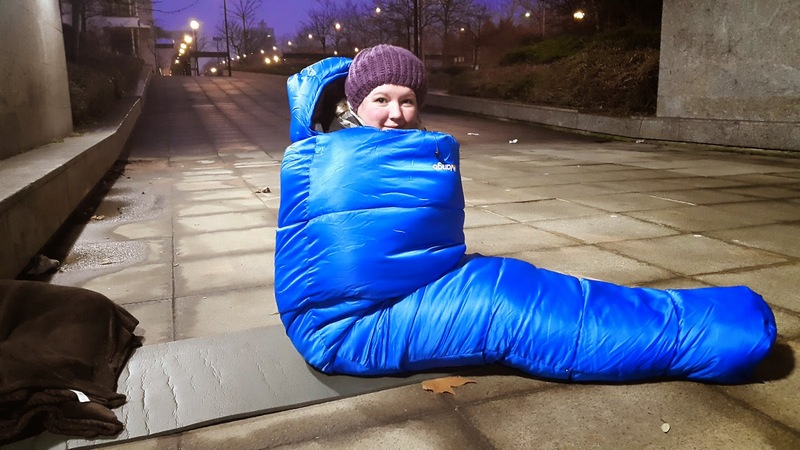 So far the sleep-out has raised £2500 towards helping the Winter Night Shelter operate again from December, and we hope to see more donations come in over the next few days. I hope that reading my rambling brain-fart account of last night might prompt you to send a few pounds our way and help the increasing number of people with nowhere to live in Milton Keynes. Demand is increasing; since 2010 the YMCA has gone from turning away 30 people a month to 55. Wow, I started writing this AGES ago, but after our housing policy made the news today, it seemed worth getting back to this! Following on from my earlier post exploring why immigration is not to blame for the UK's woes, this piece will elaborate on the housing crisis, with which many of us will be personally familiar. There are currently more than 610,000 empty homes in England alone. Estimates including Wales & Northern Ireland push this up to more like 835,000. Why are they empty? Most are privately owned as second homes and registered with the council (for council tax purposes) as empty. Some were intended to be rented out but have fallen into disrepair. Some are flats located within (above or behind) and owned by shops. There are even some which were intended to be part of new developments built by investors but were then abandoned before completion! In 2013, government data recorded 1.8million people on social housing waiting lists in England. Looking at these two pieces of information, should we not be more than a little irked that the government aren't doing MORE to turn these empty houses into functioning homes to alleviate the housing crisis? Moreover, in the past 30 years 2.5million council houses have been sold through the Right to Buy scheme for up to 47% less than their market value. Now while the idea of enabling council tenants to secure ownership of their homes sounds like a great idea, bear in mind that this enormous amount of social housing has not been replenished by the government, and 2013 data shows that only 1.7million council properties remain. No security. Tenancies are frequently 6 - 12 months long, with no guarantee of renewal and a landlord's ability to end the contract with 2 months notice. Uncapped letting agents' fees. The average fees for an agent are £350 every time you move house. Deposits with no guarantee you'll see the money again. Six weeks rent is the norm for a security deposit, intended as as a safeguard against any damage to the property. This is paid in advance of moving in and returned (if you're lucky!) after you move out. If you're moving from one rented property to another, you need to come up with the deposit AND first month's rent in advance before receiving your previous deposit refund. Extortionate rent. Competition and government subsidies through housing benefit have allowed rents to soar. An "affordable" 4 bedroom flat in London now requires an annual salary of £100k. Homelessness from the private sector is on the increase, accounting for 11% of those acccepted as 'homeless' in 2009, as families find themselves with a terminated contract yet unable to either find or afford a new tenancy. So what do we do? How do we fix this? The government's social housing budget is currently just £1.5bn, nowhere near enough to address the 1.8 million people long waiting list. We need a serious commitment to ending Right to Buy and building sufficient social housing homes. Earlier this month, the Green Party announced a manifesto commitment to build 500,000 social housing homes over the course of the next parliament if elected to government, as well as ending the Right to Buy scheme and implementing additional policies such as rent caps for the private rental sector and ending "revenge evictions" for tenants. The full details will be released with the manifesto next month, but I wanted to take a closure look at the announcement to build half a million social homes. First question - how in the devil do you intend to afford this? What will it cost? Simple answer: 500,000 homes costing £60,000 each to build over five years = £30 billion over the course of the five year parliament. How to do this? Gradually, of course. We know the government's current social housing budget is an insufficient £1.5bn, so we increase this gradually each year until the annual social housing budget in 2020 reaches £9billion/pa. Why do you have to do it slowly? Where does the money come from? As with our other policies such as zero university tuition fees, reinstating EMA for college students, investing in the NHS, bringing the railways into public ownership - the money comes from overhauling the tax system. It takes time to bring that money into the public purse, so we stagger the spending accordingly. The shortfall from tax avoidance and evasion is currently around the £100billion mark. We have already pledged our commitment to a Tax Dodging Bill that would clamp down on this and bring significant sums of money into the economy. Let's estimate, for now, that we could reliably set this figure at £25billion (a very conservative fraction of the actual amount that should be paid but isn't). A wealth tax of 1% on the assets of those with a personal wealth of over £3million pounds would bring in at least £22billion over the course of a five year parliament. That's not even the full picture of changes we would implement, and already we've saved or generated an additional £187 BILLION for the UK economy. That £30billion cost of building half a million social homes doesn't look so scary now, does it? Let's also remember the hidden costs of not having enough social housing: housing benefit makes up 14% of welfare spending at the moment, and as most of it is paid to working people on low wages living in private rented accomodation, that money disappears straight into the hands of private landlords. Additionally, homelessness is estimated to cost the government £1billion every year. By building enough social homes for people on low incomes to live, we not only take a huge step towards redressing the coalition government's legacy of soaring inequality, but we also begin to create a more sustainable society. Building these homes is a very sensible move. It works financially and it works morally. It's election season, yaaaaay! Ok, so maybe I'm in a minority of very excited people but this year is going to be like nothing we've seen before. We have an election being contested by TWO parties who've never before been considered big players, alongside the three usual suspects of Labour, Conservatives and Liberal Democrats. Now, I'm really not a fan of UKIP but I do have to concede that anything that shakes up our political landscape and gets people talking is very interesting indeed. If you've read my blog before, you've probably gathered that I'm a huge supporter of the Green Party - so much so that I'm a paid up member and candidate for the next election! I'm passionate about their policies and frankly relieved to see someone in British politics genuinely fighting for the wellbeing of ordinary and vulnerable people. We've seriously raised our profile in the past year, with membership quadrupling in England and Wales (we hit 50,000 members yesterday!) and our polling figures taking us past the Lib Dems, into our highest ever consistent figures. Naturally, with that comes closer scrutiny of our policies and a reasonable amount of hysterical press coverage. That's fine. We know our policies are amazing and we're only too happy to be given the right of reply to defend them. Maybe we need to work on our media strategy a bit, but hey! we're not career politicians with armies of Malcolm Tucker spin doctors telling us how to make bad things sound good. We are a group of devoted, compassionate people who have compiled a set of policies that we have every faith in working for the common good. We don't need spin. Unlike the other parties, our policies are freely available on our website for anyone to read. We don't hide them away until we can find ways to dress them up. It's all there. In some ways, that's making life harder for us because many of our policies require a huge break away from how society is currently structed, and if you take them out of context, they look a bit... well... bananas. We could just take the policy site offline and, as the other parties do, only tell you what we stand for on our own terms, through cleverly constructed press releases and snappy soundbites, but we'd rather maintain a feature I'm personally very proud of - our transparency and honesty. So I spend a lot of time talking to people about politics and why they should want to vote for us. The main objections I hear are that "politicians are all the same" and "power corrupts, even if you get into government with the best of intentions. Just look at the Lib Dems!". This is where I feel we need to make much more noise about a very specific area of policy regarding governmental and electoral reform. We talk about changing the face of British politics, but I don't think many people realise how much we mean that! PA451 Central Government currently revolves around the Prime Minister and the Cabinet, with the role of Parliament greatly diminished. 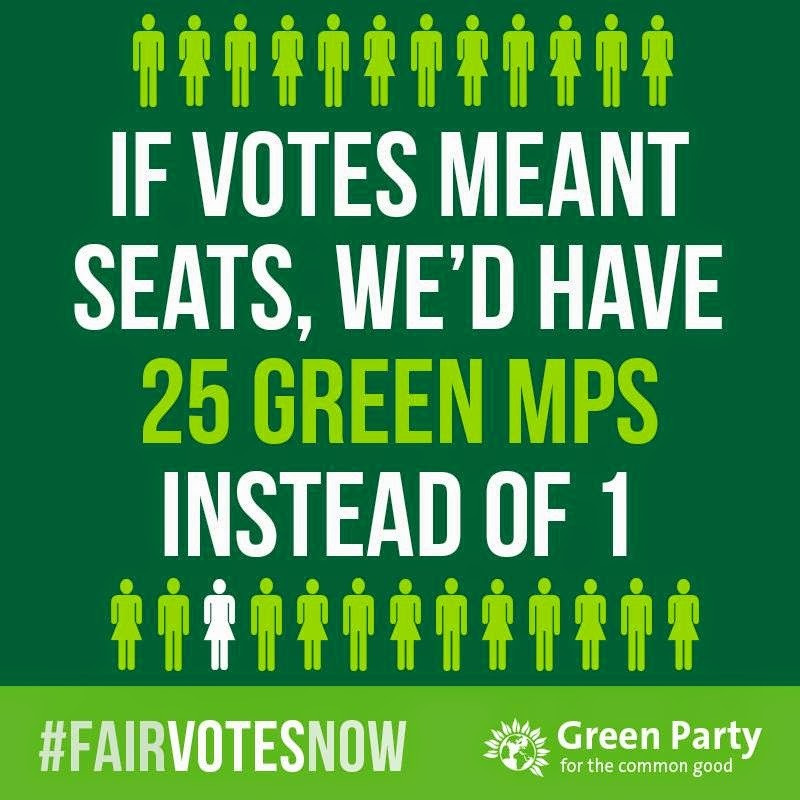 The most important reform needed to redress this imbalance is the move to proportional representation. This will help to bring an end to the traditional dominance of two political parties in Britain. The central Parliament (House of Commons), elected under the AMS system (see PA305), will be far more representative of the diversity of opinion within the UK. There will be far less chance of an overall Parliamentary majority for one party, and, even without further reform, the resulting necessity for coalition governments would make governments and Prime Ministers much more accountable to Parliament. PA455 A First Minister would also be elected by the central Parliament as a whole, who would be responsible for chairing a committee, the Coordination Committee, of all the convenors of parliamentary committees. This body would be responsible for coordinating the work of the different committees, and for dealing with matters that affect them all, such as the allocation of public expenditure. The First Minister would act as Head of Government, in particular in dealings with other states. The central Parliament would also elect, as at present, an apolitical Speaker, who would act as Head of State (see PA600c). PA307 UK political parties will be funded by the State. Such political funding will be calculated and administered on a regional basis, and funds allocated in proportion to the number of votes cast in the region in the last round of proportional representation elections held across the entire region. Parties would need to exceed a threshold of 3% of the vote to become eligible for this funding. I know, I know. Your brain has now melted and you just want to go and eat marshmallows. The meaning of all this is actually really simple - we make politics straightforward and actually properly democratic. No more lobbying and influence by large corporations, because political parties will be funded by the state, not from being bankrolled. No more embarrassingly cringe-worthy Prime Minister's Questions, because parliament will be a cooperative and representative body, that actually reflects what the people of Britain think and feel. No more feeling that your vote is wasted or that you have to tactically back the lesser of two evils - everyone's vote counts because everyone can vote for what they believe in. THAT is how a government should be formed. I think this also says a lot about Green Party credibility. We're not power-hungry. We're not after the ministerial cars and the prestige of getting to say "we're in charge". A Green government would actually redistribute that power so that no one political party holds a disproportionate amount of control. The Prime Minister would be replaced by someone democratically elected by the whole parliament, not just whoever happens to have been leading the party with the most votes at election time. This is huge. And it's brilliant. It suits everyone, even people who don't share our love of renewable energy or hold the same views on reforming the justice system. Everybody gets represented this way. I said before that I don't like UKIP but that doesn't mean there's no room for a Eurosceptic party to represent the beliefs of British people who don't like being in the EU. Anything that keeps debate open, that keeps questioning and challenging the status quo is a good thing. We're a brilliantly diverse country, and that is as true of our political beliefs as it is anything. If we want to see that taken heed of in the way the country is run, we have to fight to change an archaic and corrupted system, and replace it with something we can be proud of. If you want to read more of our policies, go to policy.greenparty.org.uk or wait for our manifesto to be published in March. OR find out who your local candidates are and email them and ask to meet up!